Well in that case you’ll be golden. It’s still gonna be hard with a single 5gpm machine to clear that lot in a day which is where you’ll want to be to make this profitable, but regardless you need to look into two stepping. I would probably be at 5-10 minutes per unit two-stepping with two 8gpms. As far as keeping your soap wet longer, just work in smaller sections. 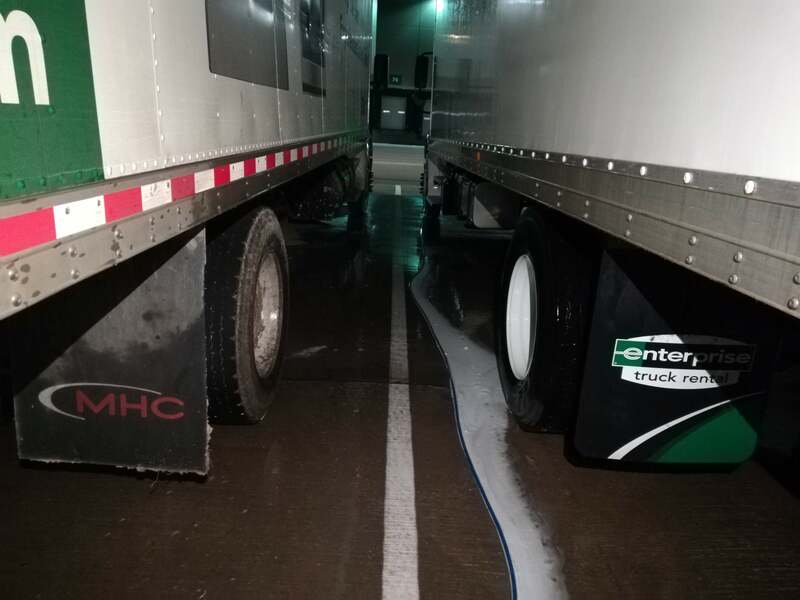 We typically do back and left side, then front and right side when we wash a truck. 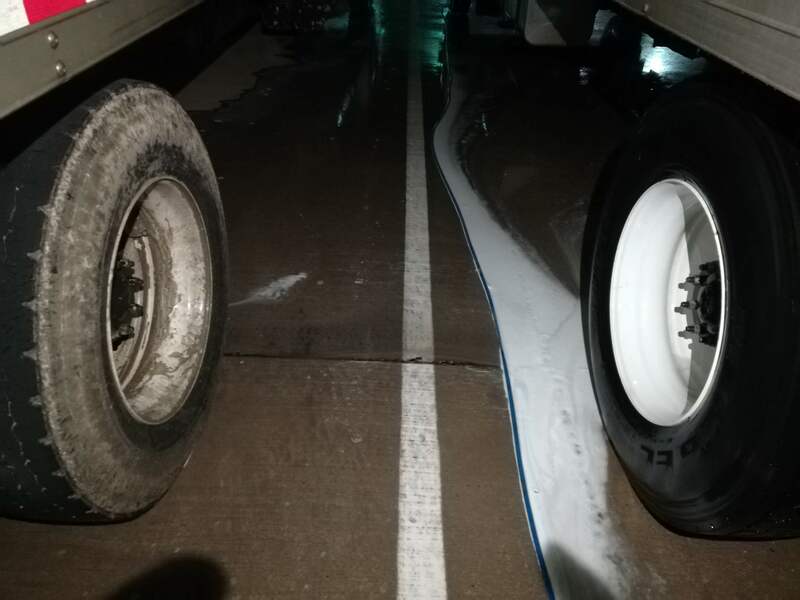 They are only paying $15 per box truck, not having to be brushed just soaped and rinsed is all they want. At that rate I don’t see how anyone can make this work . Is that really the going rate for fleet box truck washing ? I can’t even get someone to wash my car for that price , I’m I missing something ? Yeah that’s definitely another issue. I’d want to get at least $25 but would like to be closer to $35 for a short box truck. It’s definitely not a competitive rate and the owner can say whatever he wants about just wanting a “soap and rinse” but at the end of the day what he wants is his trucks clean and no matter what process you use you’re going to struggle to profit at $15/unit even with ideal conditions. It’d be interesting to know what the current guy is doing and how clean they are when he is done. Is that possible in some way? I’m going to try to get $20 for them. At least this will get me in the door and some much needed experience. I’m going to explain to him that I need at the very minimum of $20. I need to find out what others are charging in this area, I don’t want to undercut everyone to drive the prices down. I don’t understand the paperwork issue with the old guy. He was charging $15 twice each trip for each truck so they were paying $30? I don’t understand how that’s a paperwork issue. I would probably be at 5-10 minutes per unit two-stepping with two 8gpms. I really need to learn 2 stepping. I have zero clue what equipment I need, what soaps I can use on what. I have read, read, read and watched countless youtube videos but I don’t learn that way, I am a hands on kinda guy. Anyone in the midwest willing to show me? I don’t understand it either. Paperwork is by far one of the easiest things to do, how does he stay in business if he can’t even figure out invoicing. Check you water. If it’s hard ,you will loose 30% of your chemical cleaning power. That equals a lot more water to get it clean, plus $ for more chem etc. Then learn to two step. Save ya’ll so much time n no brushing. Harrison must be getting old,he’d have them done in 3 minutes. I’d also get a meter fom the local water department n pay for it. 300 ’ away is a no brainer. Yea, just gotta read up on what I have to do to get one. I’ll work with this guy for lower wages for now so I can secure another branch of his company. Watch the house spraying fellas. They make great money for about 4.5 months. Then hybernate, but the competition is getting ugly because you can go to Home Depot and spend 2 grand on a machine n fittinings and wash tomorrow with SH and Eliminator to make it stick. Fleet washing is more of a year around thing ,with alot of different chemicals,big hot money washer and some thinking involved . I’ll work with this guy for lower wages for now so I can secure another branch of his company. There you go, water problem solved. Call the water company and see how much a water meter is and price of water. Maybe get the client to pick up that cost. Nashville charges $860 deposit for meter and $2.14/748gal. Best solution. I wash this same account for Ford Moving in Texas. Local trucks do bug up too and you’re priced very low. I upstream my soap with heat and cold rinse them now. I haven’t brushed them since I started them last Thanksgiving. I clear 6 a hour even with hitting the wheel wells, frames, lift gates, air tanks and the inside rear dual tire. Who parks with them on the line? You’ll have to rinse those guys off which slows you down. It takes me two nights by myself and about a 100 gallons of soap along with about 3k gallons of water. My window to get them all is from about 8:30p to 5:30a. The drivers are very young and inexperienced so they will mostly be crooked crowding the truck next to it making it tight as hell which will really wear on you. I had to make up very short guns for them. More often than not they get off road and mud them up, the pic below is very common and no you can’t charge extra for that nor can you charge for all the gum they spit on the tank steps and stickers they stick all over the place. My invoices to them are held up constantly so you better be okay floating them every single time you invoice them while they get it together for you. So I’m twice as fast and use a third the water as you all while single stepping??? Not to mention I don’t have a acid bill to foot too. How long is it taking you? How many people on a truck at a time? Maybe. Doubt it. Never tried upstreaming.